Cabins on the north shore of Lake Superior in Schroeder, Minnesota, 80 miles northeast of Duluth. 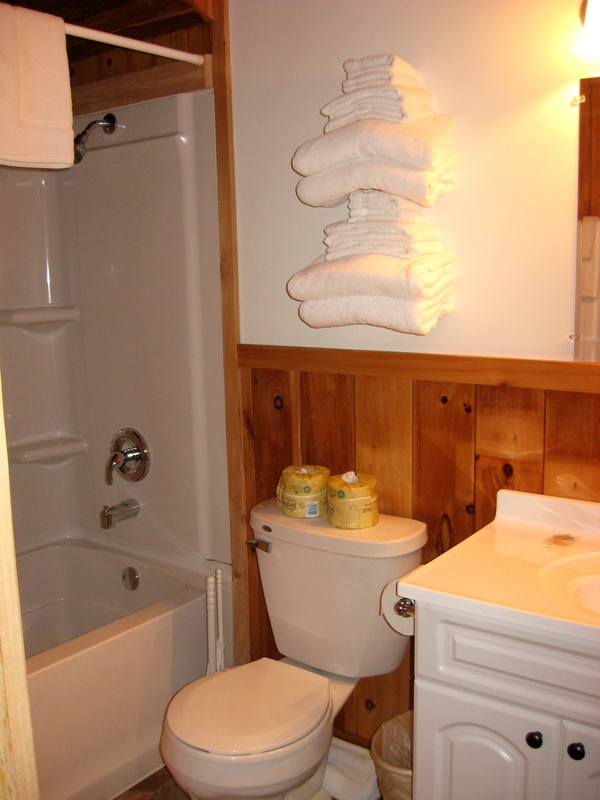 All cabins are full-housekeeping with kitchen (stove, refrigerator, toaster, coffee maker w/filters, pots, pans, and dishes), bathroom with shower, bedding, and towels. Each cabin has a fire ring and charcoal grill outside. Wi-Fi is accessible near our office. There is a three-night minimum on cabins (except in May when the minimum is two – excluding Memorial Day Weekend), unless our calendar dictates fewer (which can easily happen mid-week). Check-in is 3 p.m. Check-out is 11 a.m.
Pets are welcome but must be registered, may not be left unattended, and must be leashed at all times when outdoors, and we expect you to clean up after them. $25/stay. Also: no fireworks! Deposits of $200 per cabin are required at the time the reservation is made. Checks are accepted but the reservation will not be confirmed or guaranteed until the check is received. There is a 15% discount for stays of 7 days or longer. Cancellation policy: In order to receive a full refund minus a $25 handling fee a 30 day notice prior to arrival must be given. Any other refund will be based on our ability to rent the cabin for the entire period booked. All cabin rates are subject to 12.375% tax. Rates on cabins change across the summer. Here are the calendar and the key. LOG CABINS 4-5-6-8 are on Lake Superior and can sleep 6. Cabins 4-5-6 have two bedrooms, queen beds in each, and a sleeper futon. Cabin 8 has one bedroom so the second queen bed is in a corner of the main room. This provides a larger common area – kitchen, dining, and living – but no real privacy for that second bed. Families with children seem to like the lay-out. Peak: $219/night; Prime: $209/night; Regular: $169/night; Low: $149/night. LOG CABIN 7 is on Lake Superior and has a loft (up a rather steep set of stairs), so can sleep 8. The two bedrooms on the main floor have queen beds; there is a double bed in the loft and a sleeper futon in the living area. The bathroom has 2 sinks. 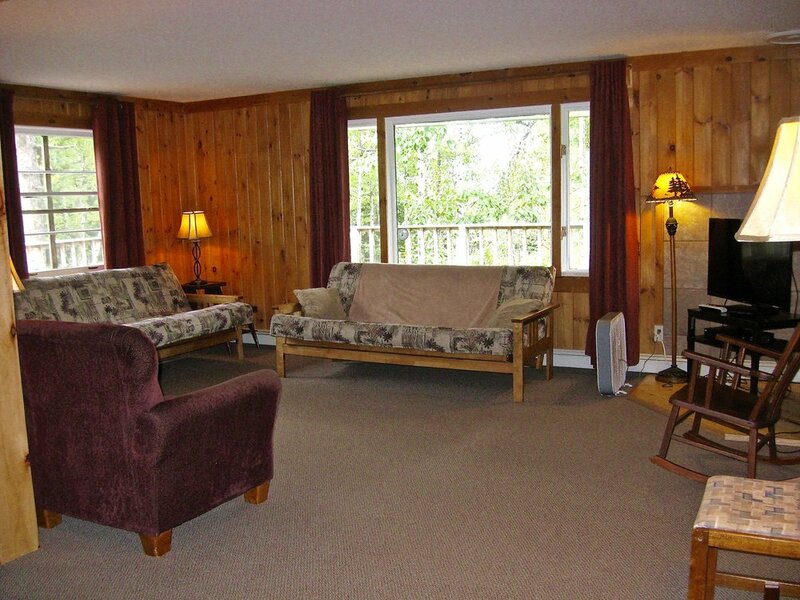 Peak: $239/night; Prime: $229/night; Regular: $189/night; Low: $169/night. FRAME CABINS 11-12-14 are two bedroom cabins on Lake Superior. Slightly newer than the log cabins, these also have two bedrooms each and a sleeper futon. They sleep 6. There are queen beds in cabins 11 and 12, and one queen and a set of twin beds in cabin 14. Peak: $209/night; Prime: $199/night; Regular: $159; Low: $139/night. CABIN 18 is our largest cabin. It is tucked in the woods near the Cross River, a bit below the coffee shop. It can sleep 8. It has three bedrooms: one queen bed, one double bed, and two twins. There are also two sleeper futons. It has a full kitchen with a microwave. And it has a TV (maybe we shouldn't mention that). The bathroom has a shower/tub combination. Peak: $209/night; Prime: $199/night; Regular: $159/night; Low: $139/night. LAKE MOBILE HOME 16 (yeah, really, it's a mobile home) is the only unit we have on the northeast side of the Cross River. It lies at the mouth of the river on Lake Superior and has a gorgeous view out the living room across the mouth and down the shore. It sleeps 6: 2 bedrooms, a queen bed in one, a double in the other – and a sleeper futon. There is a full kitchen with a microwave and a bathroom with a shower. The large ledge-rock point on the lake, beautiful public beach only 50 yards away, and the Cross River make this "mobile home" into a mansion (at least we think so). There's also a public boat landing near the beach suitable for kayaks and canoes. Peak: $169/night; Prime: $159/night; Regular: $149/night; Low: $129/night. Spring run-off in the Cross River. Those are cabins 1, 2, and 3.